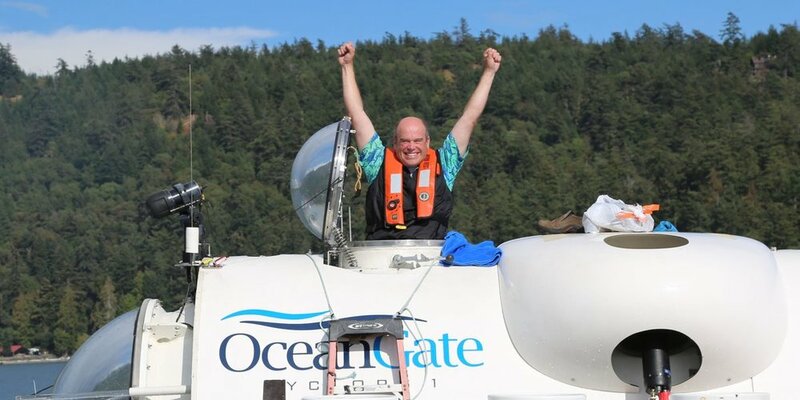 Last fall, SeaDoc, the OceanGate Foundation and Friday Harbor Labs teamed up to bring a sub to the Salish Sea for a week of scientific research. On Feb. 28th at MadArt Studio in Seattle, we'll celebrate the scientists and submariners who made it possible, and you're invited! Three teams of scientists took turns diving near San Juan Island in OceanGate Inc's submersible, Cyclops 1. They sought answers to questions about trawl scars, red urchins, and the Pacific sand lance. Come hear what they discovered and how their dives changed their understanding of the Salish Sea. Joe Gaydos of SeaDoc Society, Billie Swalla of Friday Harbor Labs, and Stockton Rush of OceanGate Inc. will share their thoughts, photos, and video of the expedition. Space is limited!